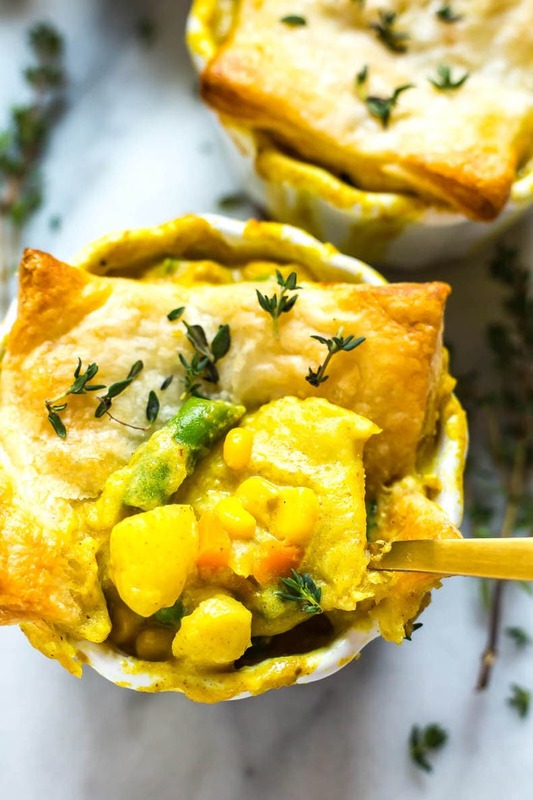 These Instant Pot Mini Chicken Curry Pot Pies are a delicious, healthy way to enjoy comfort food and the coconut curry filling comes together easily in your pressure cooker! 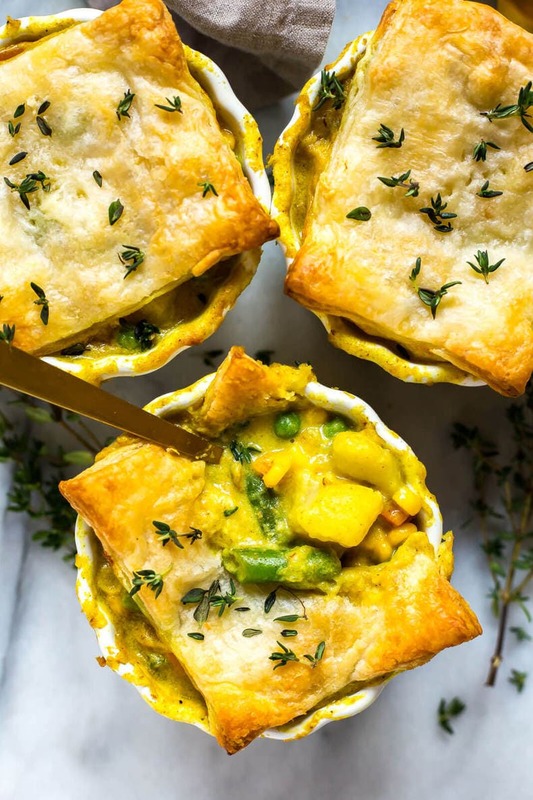 Aren't these Instant Pot Mini Chicken Curry Pot Pies SO CUTE?!!! Ever since I made these other Mini Chicken Pot Pies last year I've wanted to try a chicken curry version. At home in Hamilton where my parents live, there's this awesome cheese shop in town that sells other kinds of specialty foods from local companies in Hamilton, one of which that makes these awesome chicken curry pot pies. I've never had the pleasure of trying one myself but I know my mom always stocks up on them for a last minute dinner idea. They're single serving size and the most genius idea for when you don't feel like cooking but want something warm and homemade. I love the idea of having a single size version of something like a chicken pot pie because you can control how much you're eating, and the crust is consistently laid overtop – the perfect balance of what a chicken pot pie is supposed to be! 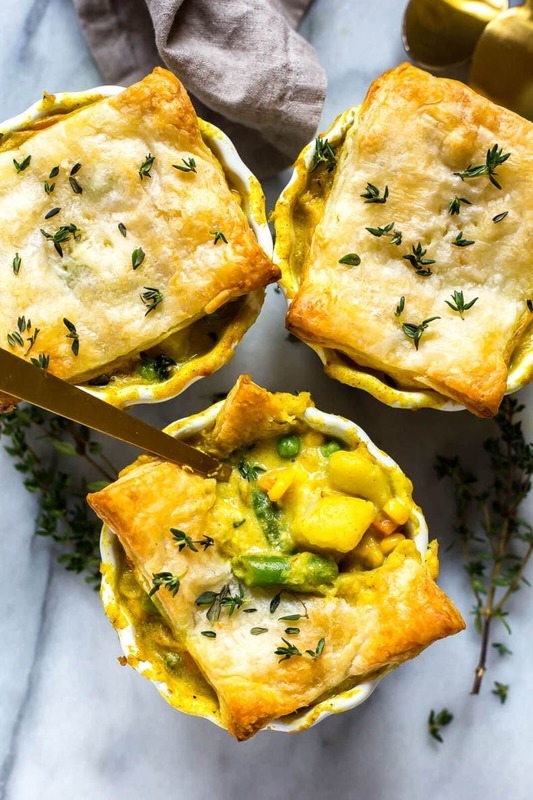 These mini chicken curry pot pies are also perfect for freezing. They're a great freezer meal option when you have a busy work week, and they also really satisfy your craving for comfort food without packing in a ton of calories. And let's just say frozen veggies save the day here! Just dump a full bag of a mixed vegetable medley into your pot after the filling is done cooking then divide up among 6 ramekins. 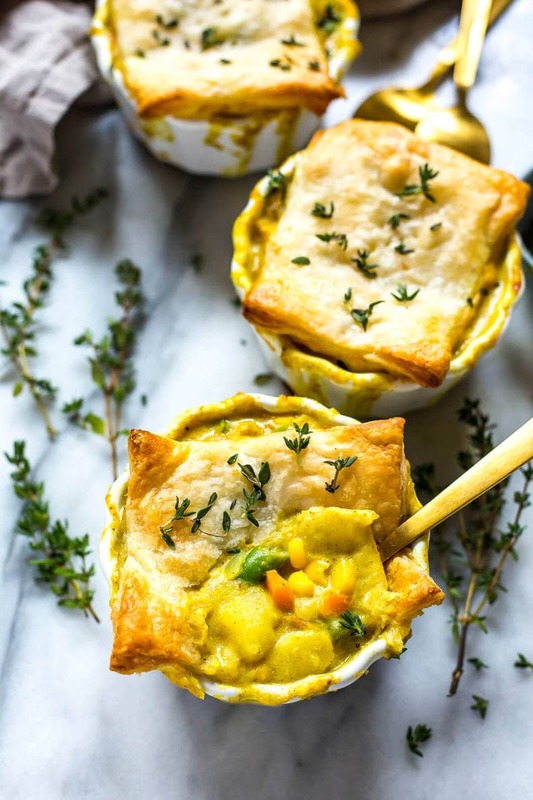 The filling in these Instant Pot Mini Chicken Curry Pot Pies is super easy to make thanks to the Instant Pot! It can definitely be made on the stovetop too though – the main difference is that you will need to first saute the chicken with butter, onions and spices before simmering the mixture with the potatoes, coconut milk and chicken broth. 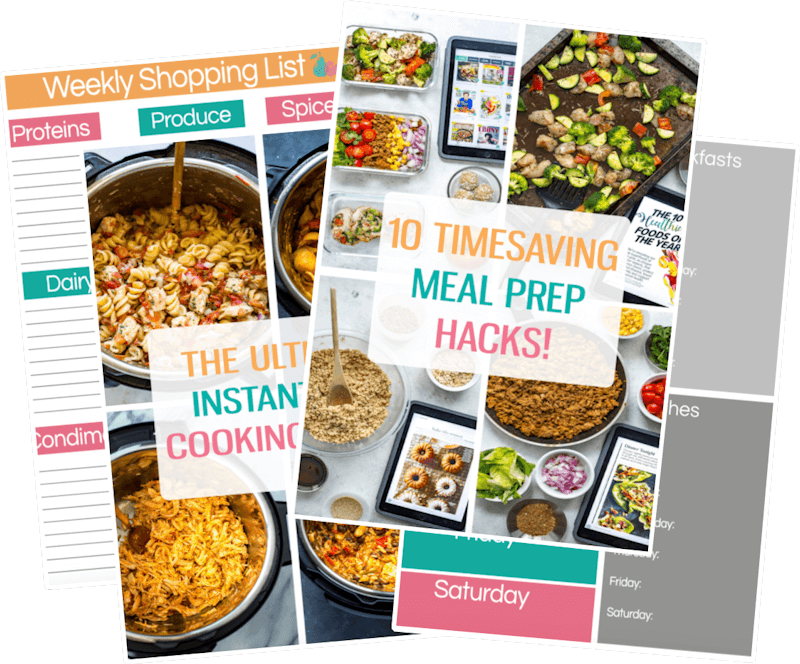 In the Instant Pot version, you are pretty much dumping all of your ingredients in and then pressure cooking for just 1 minute. You don't want to overdo it because you will also be baking it in the oven to get the puff pastry crust golden brown. 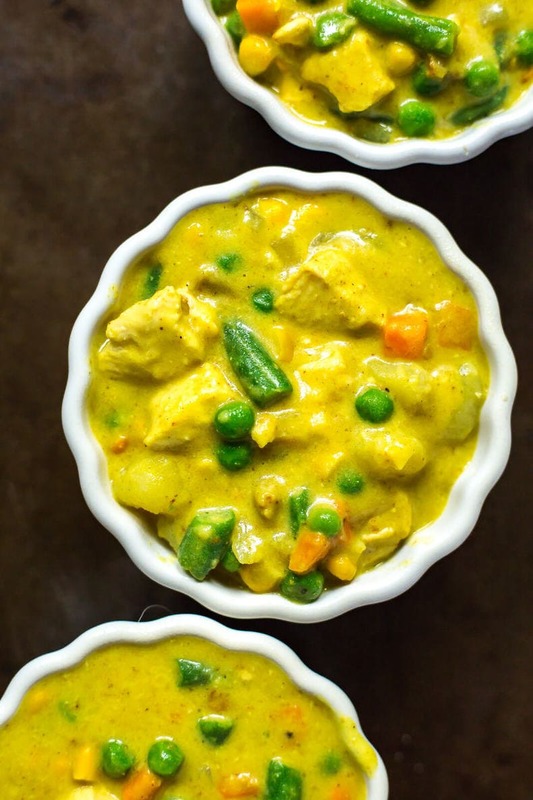 Even though the steps for this chicken curry pot pie may seem more involved than other Instant Pot recipes I've done, each one is super easy and you can complete certain steps while you are in the process of other steps – for example, greasing and getting the ramekins ready, and cutting out the puff pastry while everything pressure cooks. 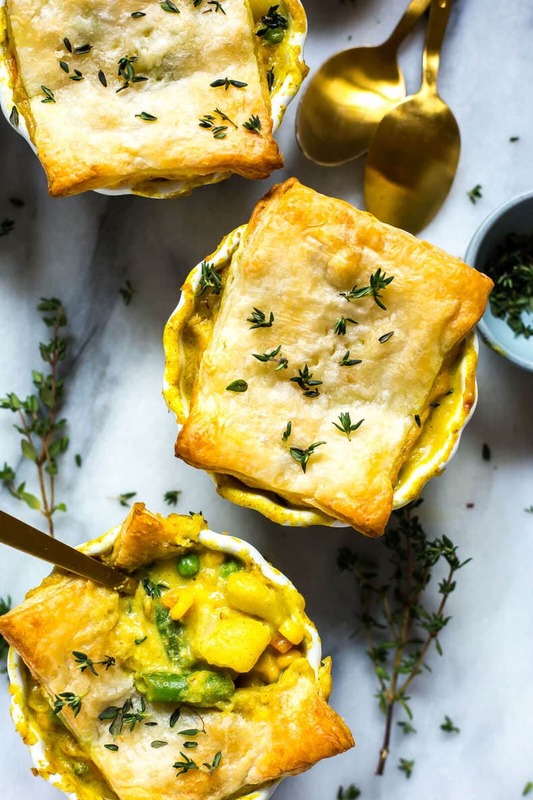 I also love that these Chicken Curry Pot Pies are also freezer-friendly so even if you have too much filling leftover, you can freeze it for later then do the baking in the oven with the puff pastry on top separately. 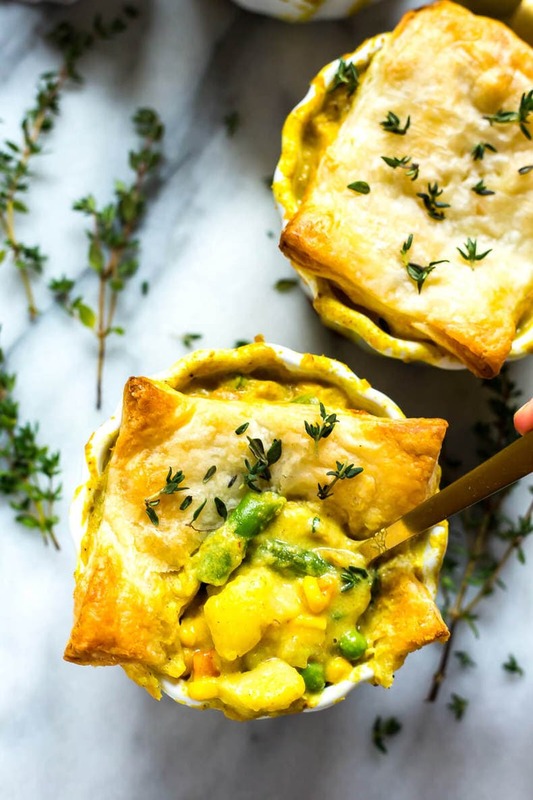 These Instant Pot Chicken Curry Pot Pies are also great for entertaining and the holidays coming up because everyone gets their own little savoury pie with a ton of flakey crust. Believe it or not I only discovered the magic of puff pastry a couple of years ago and don't know why I don't do more savoury pies more often! This pre-made pastry can be found in the frozen area of the bakery section of your local grocery store. Be sure to take the sheets out of the freezer at least half an hour before you plan on cutting out the squares to place on top of these pies. I also added two fork marks in each puff pastry square just to allow for a little room for the filling to breathe in the ramekins. As for ramekins, you can use just about any kind but I suggest buying some from IKEA or Corningware – they make some medium-sized ramekins that will fit a bunch of filling and they are oven-safe. 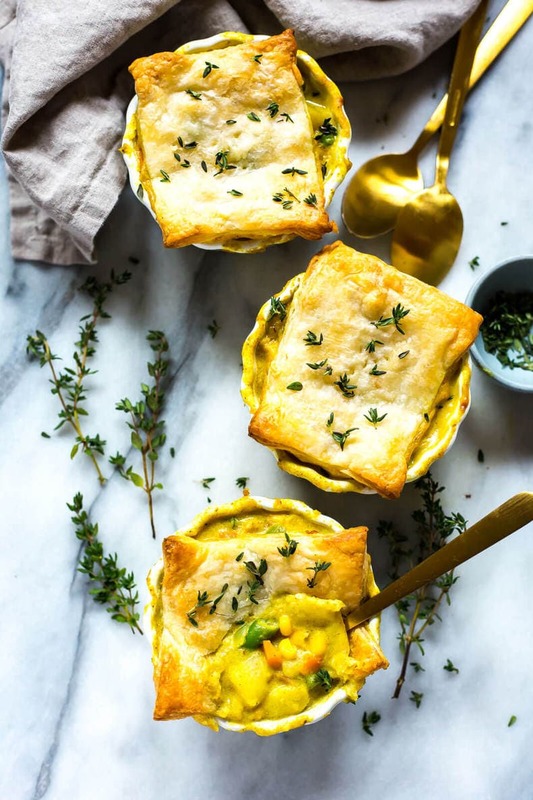 If you're feeling too lazy to make individual chicken pot pies then you can also just add the filling to a 9″ cake pan or glass baking dish then layer a large piece of puff pastry overtop. Really, it's just all about what you have the time and patience for! Large pot pies can also be frozen after they are baked so it depends on how much of the pie you will eat at once too. 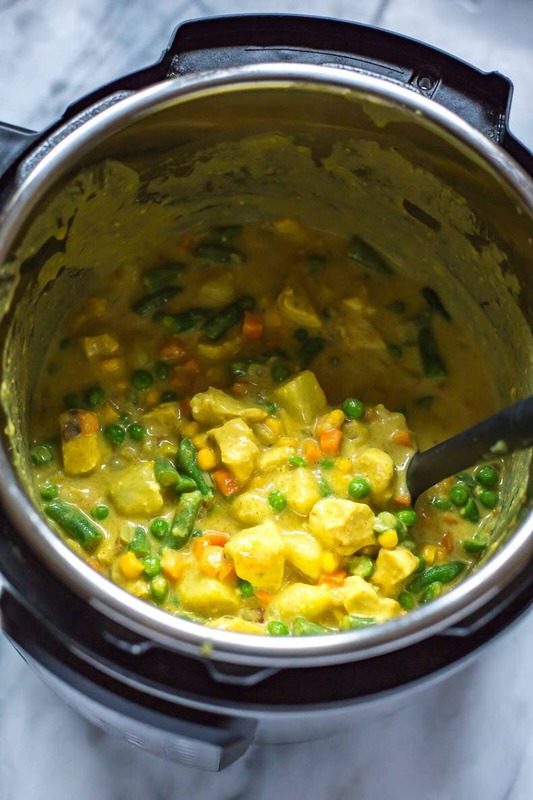 Will you be making these Instant Pot Mini Chicken Curry Pot Pies? If you're looking for another Instant Pot recipe that's perfect for fall then you also need to check out this Instant Pot Butternut Squash Risotto – it's quite possibly my fave ever butternut squash recipe, and SO EASY! Add all ingredients except for veggies and puff pastry to the Instant Pot in the order that they are shown, sprinkling flour evenly overtop of chicken. Cook on high pressure for 2 minutes then do a quick release of the pressure. Meanwhile, preheat the oven to 375 F. Grease 6 ramekins with non-stick spray (I like the Corningware or IKEA ones, I have links for both above). Cut out 6 small squares or circles of puff pastry using a pizza roller to fit the tops of the ramekins and set aside. When filling is done cooking, open lid and stir in veggies, mixing well. Divide filling among ramekins and then add piece of puff pastry. Bake on a baking sheet in the oven for 15 minutes or until pastry is golden brown. Serve and enjoy! 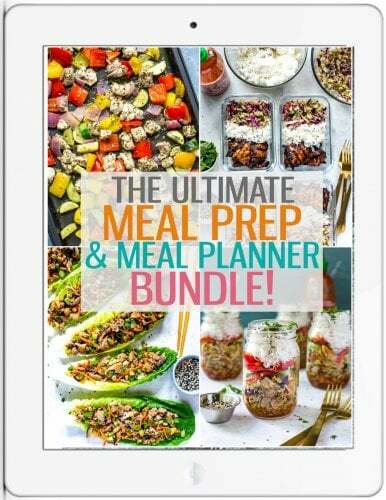 These are Weight Watcher recipes? Point value? Hey Shell – I don’t provide Weight Watchers recipes on my site. I do occasionally include the Freestyle points value when I post the recipes to Facebook. Unfortunately I can’t provide conversions for every recipe on my website but I do have nutritional info listed below.